Hello there. Cathy N here with a different winged card for you. 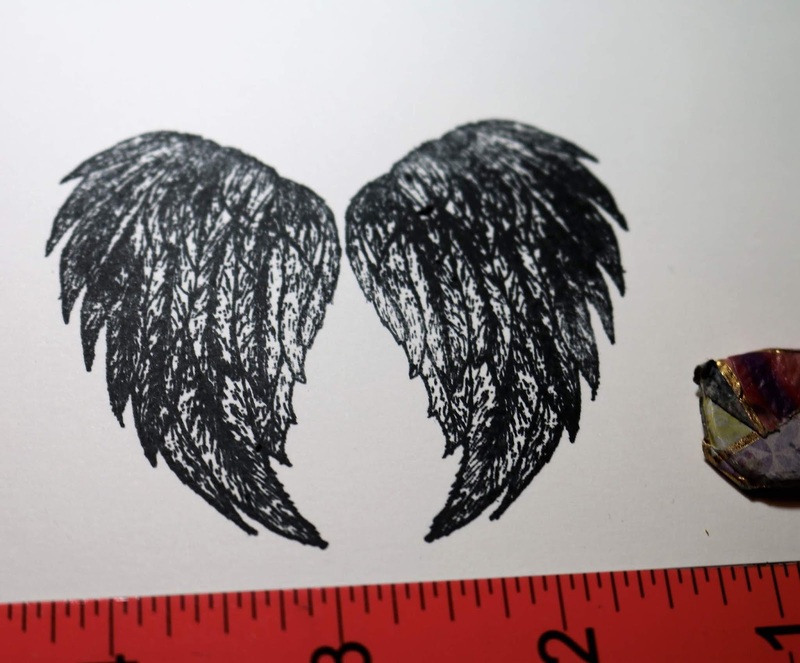 I was sitting at my table and looking at my wings stamp and thinking what could have wings. 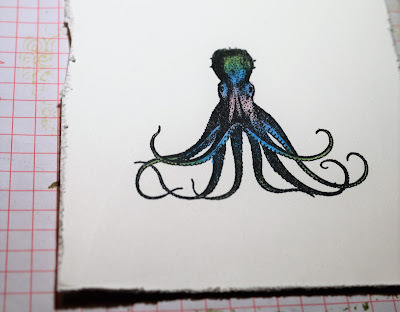 Octopus popped into my head! Start out by masking the top of the Octopus . Stamp on white cardstock. Distress the edges of the white cardstock. Color the octopus with some Copic markers. 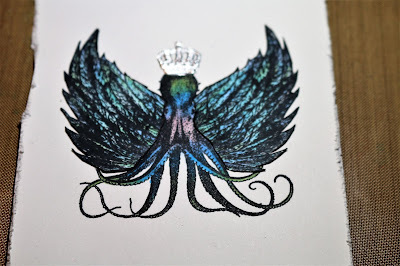 Stamp Feathered Pair of Wings on white cardstock. Color with Copic markers and cut out. 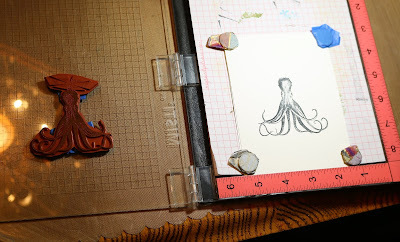 Add Wings to the Octopus that you already colored. 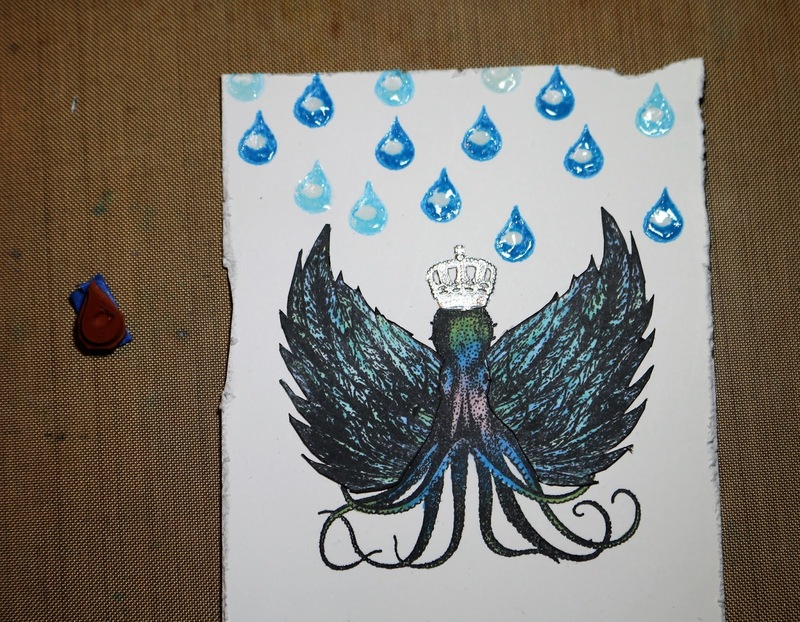 Add a Dresden crown to the top of the Octopus . I mean who doesn't need a crown. 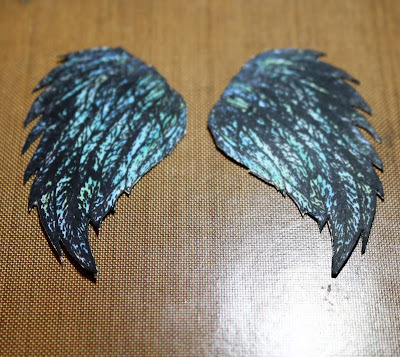 Then add some glitter to the wings. You got the crown so you definitely need glitter. Next take a small Raindrop and different color of blue inks and stamp the Raindrop on the top of the card. 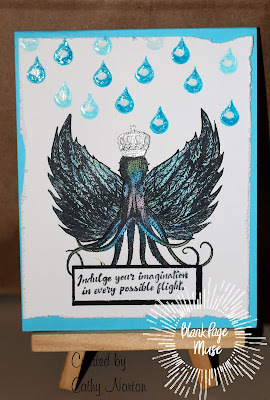 Add glossy accents to the raindrops so they look wet. Stamp the saying on white cardstock and layer that on black cardstock. Add it to the bottom of the card. Then add it to blue card base. Come join all the fun at these different spots. You are sooo good at layering your stamps! Seriously!! 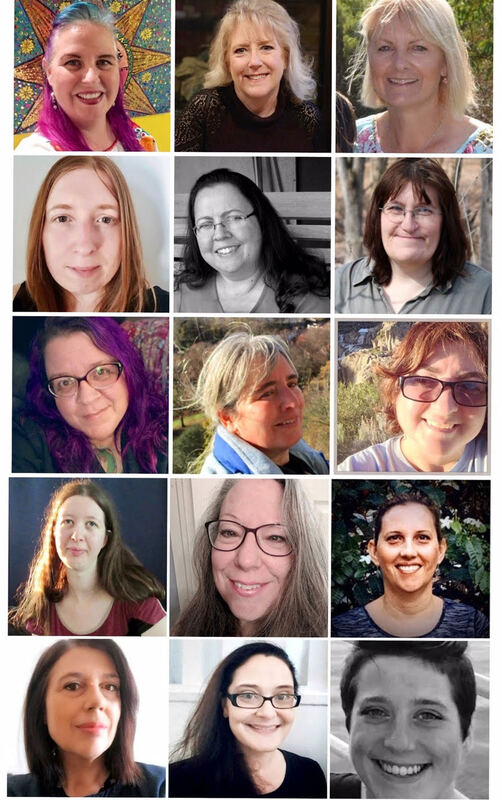 Wonderful job!! 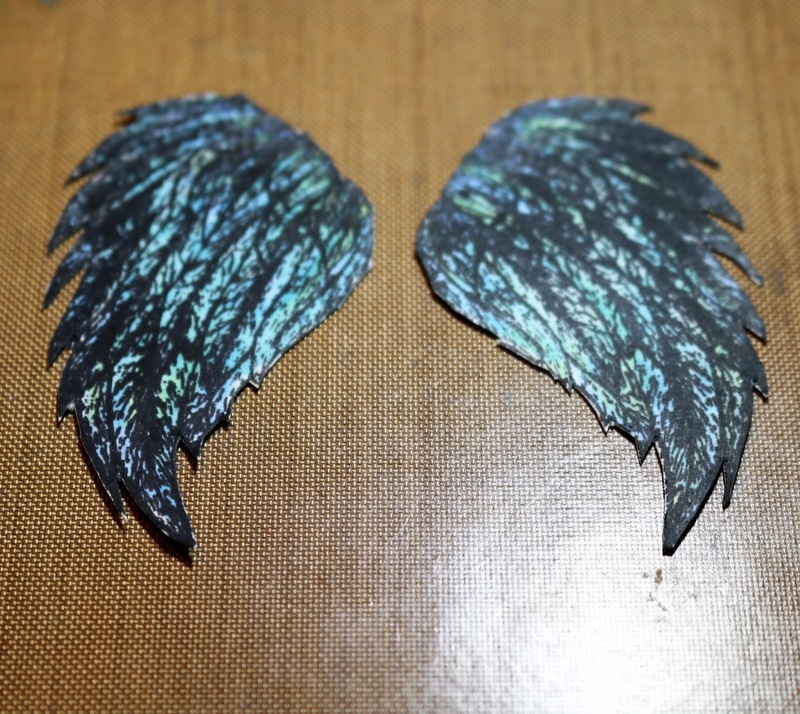 Love this winged dude! So cool!